Spaceship Earth, our home. So far it is the only planet we know with abundant life. It is a jewel in a cold, dead cosmos. We should treasure it, it is the only home we have. East and west, north and south. 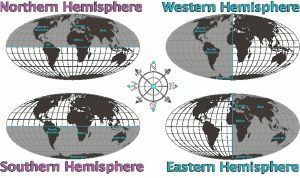 You can divide the Earth into day and night, summer and winter. 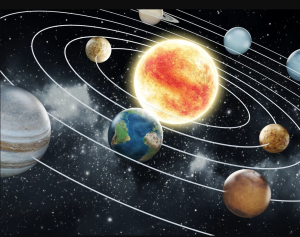 The angle of our orbit around the sun divides the seasons and defines the poles. Our planet is in the sweet spot for life to develop. A place where water is liquid and the climate is not too hot and not too cold. This is called the “Goldilocks zone” and, as far as we know, it is extremely rare. 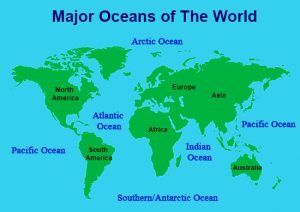 Historically, there are four named oceans: the Atlantic, Pacific, Indian, and Arctic. 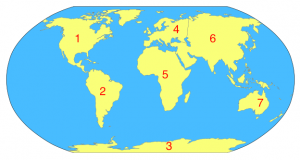 However, most countries—including the United States—now recognize the Southern (Antarctic) as the fifth ocean. 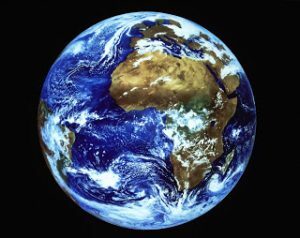 We live on a watery planet–Our planet is over 70% water. The atmosphere is divided into five layers. It is thickest near the surface and thins out with height until it eventually merges with space. 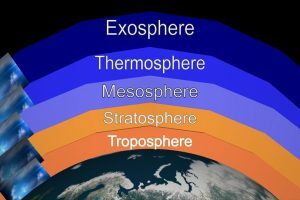 1) The troposphere is the first layer above the surface and contains half of the Earth’s atmosphere. Weather occurs in this layer. 2) Many jet aircraft fly in the stratosphere because it is very stable. Also, the ozone layer absorbs harmful rays from the Sun. 3) Meteors or rock fragments burn up in the mesosphere. 4) The thermosphere is a layer with auroras. It is also where the space shuttle orbits. 5) The atmosphere merges into space in the extremely thin exosphere. This is the upper limit of our atmosphere. Mt Everest is the highest mountain on Earth. It is almost six miles high. 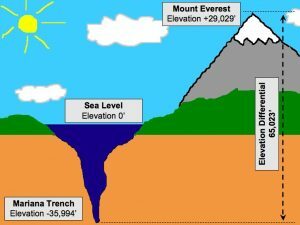 The deepest ocean trench, The Mariana Trench, is more than 6 miles below sea level. 8. Eight inches (seal level rise since 1880). Eight feet of seal level rise is predicted before the end of the century. Global warming is responsible for raising sea level. As the Earth warms, the oceans expand and the glaciers melt. Rising seas dramatically increase the odds of damaging floods from storm surges. 9 billion people are expected to inhabit the Earth by 2050. 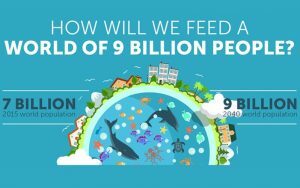 How will we feed that many people? How will we house them all? Where will we put all the garbage? What can be done to limit population growth? 10. 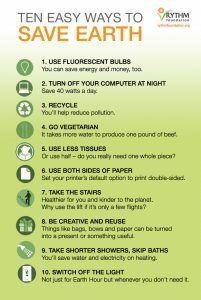 Ten things you can do to help save the planet. Can you think of any more? 11. 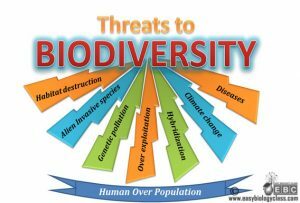 11 million living species. How many yet to be discovered? 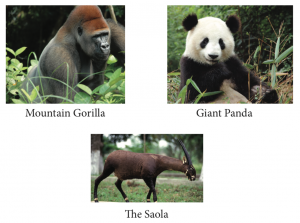 With so much loss of habitat, how can we preserve our planet’s biodiversity? 12. 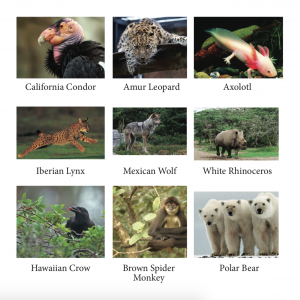 The twelve most endangered animals: California Condor, Amur Leopar, Axolotl, Iberian Lynx, Mexican Wolf, White Rhinoceros, Hawaiian Crow, Brown Spider Monkey, Polar Bear, Mountain Gorilla, Giant Panda, and the Saola. How can we save them? 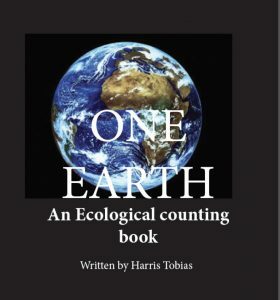 Special thanks to Harris Tobias for providing us this wonderful book.